A new study has revealed that among all the existing measures to improve public health, bike lanes could trump them all – at least in big cities in the US. When people start biking to work instead of driving, wonderful things start to happen. First of all, it clears out the road for those who insist on driving. Secondly, it significantly improves air quality for everyone, and thirdly, it makes people healthier. Just a 20 or 30 minute commute by bike can do wonders for your health but for that, you really need bike lanes. This study, conducted by researchers at the Columbia University’s Mailman School of Public Health, shows just how effective bike lanes can be. The figures they came up with are impressive. For instance, back in 2005, New York City spent $10 million on curbing traffic. They widened sidewalks, redesigned traffic lights, and constructed bike lanes. The net societal benefit of that project? A whopping $230 million. However, the study also came up with other figures, some of which are more worrying. In the US, out of the country’s 67 million cyclists, there are 700 deaths and 48,000 serious injuries a year, making US the most dangerous wealthy nation for cyclists. Per mile cycled, US riders are twice as likely to be killed than German riders and three times more likely than Dutch riders. 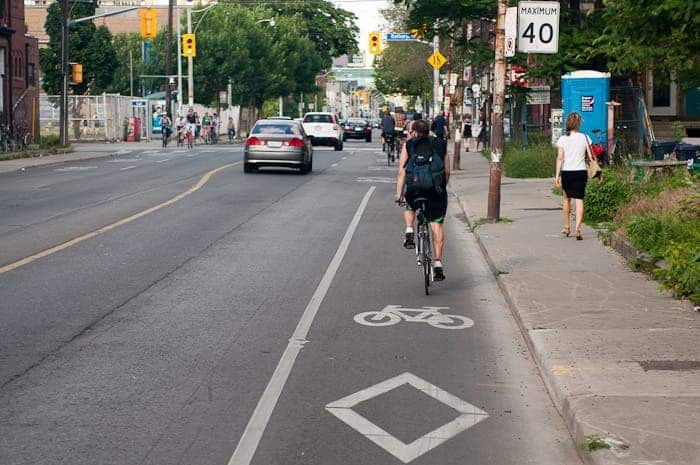 Bike lanes reduce that risk by 25%, but you have to build a lot of them before they become effective. The study didn’t address the effectiveness of bike lanes in cities in other parts of the world, but the arguments in favor for such lanes are adding up. Not only are they adding value and safety for bike riders, but in time, they add value for the entire society. Hopefully, we’ll start seeing many more lanes all across the world – that’s an idea I can ride on.